2. Злокачественные новообразования в России в 2012 году: заболеваемость и смертность. Под ред. А.Д. Каприна, В.В. Старинского, Г.В. Петровой. 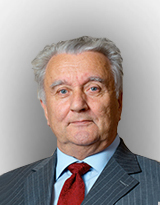 М., 2014. 3. Mulders P. Continued progress in treatment of advanced renal cell carcinoma: an update on the role of Sunitinib. Eur Urol 2008;Suppl 7: 579–84. 4. Abraham R.T., Gibbons J.J. The mammalian target of rapamycin signaling pathway: twists and turns in the road to cancer therapy. Clin Cancer Res 2007;13:3109–14. 5. Hay N., Sonenberg N. Upstream and downstream of mTOR. Genes Dev 2004;18: 1926–45. 6. Rini B.I., Michaelson M.D., Rosenberg J.E. et al. Antitumor activity and biomarker analysis of sunitinib in patients with bevacizumabrefractory metastatic renal cell carcinoma. J Clin Oncol 2008;26:3743–8. 7. Kirchner H., Strumberg D., Bahl A. and Overkam F. Patient-based strategy for systemic treatment of metastatic renal cell carcinoma. Expert Rev Anticancer Ther 2010;10(4):585–96. 8. Patard J.-J. Tyrosine kinase inhibitors in clinical practice: patient selection. Eur Urol Suppl 2008;7:601–9. 9. Motzer R.J., Hutson T.E., Tomczak P. et al. Sunitinib versus interferon alfa in metastatic renalcell carcinoma. N Engl J Med 2007;356:115–24. 10. Escudier B., Eisen T., Stadler W. et al. Sorafenib in advanced clear-cell renal-cell carcinoma. N Engl J Med 2007;356:125–34. 11. Hudes G., Carducci M., Tomczak P. et al. Temsirolimus, interferon alfa, or both for advanced renal-cell carcinoma. N Engl J Med 2007;356:2271–81. 12. Motzer R.J., Escudier B., Oudard S. et al. Efficacy of everolimus in advanced renal cell carcinoma: A double-blind, randomised, placebo-controlled phase III trial. Lancet 2008;372:449–56. 13. Escudier B., Pluzanska A., Koralewski P. et al. AVOREN Trial investigators. Bevacizumab plus interferon alfa-2a for treatment of metastatic renal cell carcinoma: A randomised, double-blind phase III trial. Lancet 2007;370:2103–11. 16. Rini B.I., Rixe O., Bukowski R.M. et al. AG-013736, a multi-target tyrosine kinase receptor inhibitor, demonstrates anti-tumor activity in a phase 2 study of cytokinerefractory, metastatic renal cell cancer (RCC). J Clin Oncol 2005;23. Abstr 4509. 17. Sonpavde G., Hutson T.E., Rini B.I. Axitinib for renal cell carcinoma. Expert Opin Investig Drugs 2008;17:741–8. 18. O’Farrell A.M., Abrams T.J., Yuen H.A. et al. SU11248 is a novel FLT3 tyrosine kinase inhibitor with potent activity in vitro and in vivo. Blood 2003;101:3597–605. 19. Abrams T.J., Lee L.B., Murray L.J. et al. SU11248 inhibits KIT and platelet-derived growth factor receptor beta in preclinical models of human small cell lung cancer. Mol Cancer Ther 2003;2:471–8. 20. Flaherty K.T. Sorafenib in renal cell carcinoma. Clin Cancer Res 2007;13:747–52. 21. Rixe O., Bukowski R.M., Michaelson M.D. et al. Axitinib treatment in patients with cytokine-refractory metastatic renal-cell cancer: a phase II study. Lancet Oncol 2007;8:975–84. 22. Motzer R.J., De La Motte Rouge T., Harzstark A.L. et al. Axitinib second-line therapy for metastatic renal cell carcinoma (mRCC): 5-year (yr) overall survival (OS) data from a phase 2 trial. J Clin Oncol 2011;29. Abstr 4547. 23. Tomita Y., Uemura H., Fujimoto H. et al. Key predictive factors of axitinib (AG- 013736)-induced proteinuria and efficacy: a Japanese phase II study in patients with cytokine-refractory metastatic renal cell cancer (mRCC). Ann Oncol 2010;21(Suppl 8). Abstr 902P. 24. Rini B.I., Wilding G., Hudes G. et al. Phase II study of axitinib in sorafenibrefractory metastatic renal cell carcinoma. J Clin Oncol 2009;27:4462–8. 25. Rini B.I., Escudier B., Tomczak P. et al. Comparative effectiveness of axitinib versus sorafenib in advanced renal cell carcinoma (AXIS): a randomised phase 3 trial. Lancet 2011;378:1931–9. 26. Motzer R.J., Escudier B., Tomczak P. et al. Axitinib versus sorafenib as second-line treatment for advanced renal cell carcinoma: overall survival analysis and updated results from a randomised phase 3 trial. Lancet Oncol 2013;14:552–62. 27. Rini B.I., Quinn D.I., Baum M. et al. Hypertension among patients with renal cell carcinoma receiving axitinib or sorafenib: analysis from the randomized phase III AXIS trial. Target Oncol 2014. [Epub ahead of print].